Proud to be the developer of this beautiful 34 lot subdivision gives you the security of having neighbors but still allows for privacy with large lots from .5 to 1.3 acres. Find peaceful tranquility with wooded lots situated along the Enoree river. 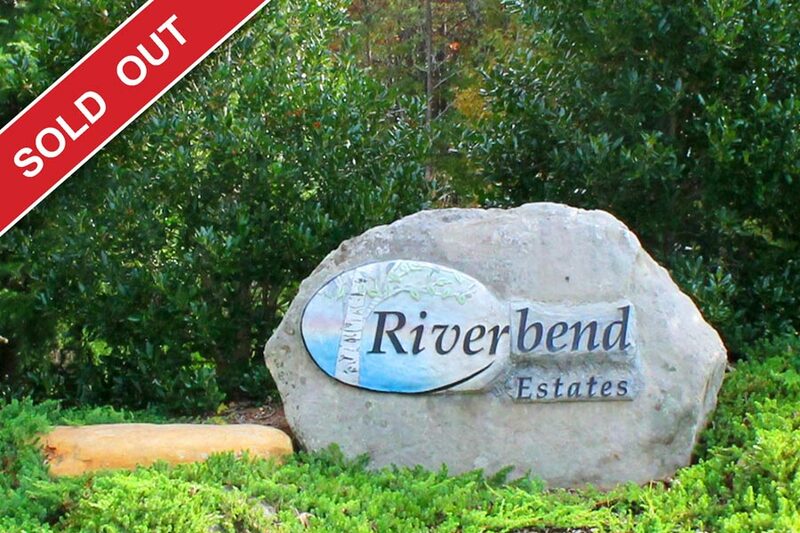 Riverbend Estates is conveniently located just 10 minutes from Cherrydale area, 20 minutes from the Haywood Mall, and 15 minutes to Downtown Greenville, with close access to State Park Road, HWY 290, and HWY 29. Middlehouse built 26 beautiful homes in this community that encompassed ranches, 2 stories on basement, on crawl spaces, with swimming pools and more. Details: Double Doors with iron work open to the large 2 story foyer with formal dining room to your left. Gourmet kitchen with glazed cabinets, granite countertops, tiled back-splash, antique copper hood, and commercial Jenn-air appliances including a 48′ double oven with 6-burner cook-top and griddle; a chef’s dream! The kitchen opens to the large breakfast rm. and great room with cathedral ceiling with trussed beam architecture, massive brick fireplace with wood log storage and a pecky cypress mantle. The fireplace also has built-in shelving beside it. On the main level, there is a den that serves as a media room with built-in shelving and hardwood floors and a huge laundry/mudroom with 2nd pantry, cleaning supply storage, and built-in locker system. 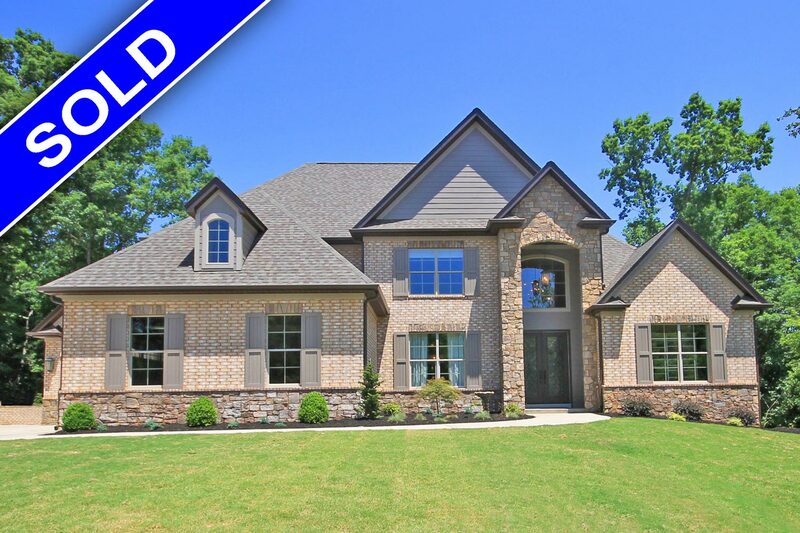 The ultimate master suite has trey ceiling with coffered within, huge walk-in closet, and a gorgeous master-bath with a huge tiled walk-in shower with multiple digitally controlled shower heads, is also on the main level. The upstairs consist of three bedrooms; one has private access to a bath and the other two share a Jack-N-Jill bath. There is a second laundry and a loft in the upstairs as well. More sq ft awaits you in the approximately 1200 sq ft finished basement consisting of play/rec room, guest bedroom, full guest bathroom, and craft room/office that has more built-ins. And let’s talk about the storage. On the main level is a 2-car garage, a separate 1 car garage with storage loft, and in the basement, is another oversized garage, and more unfinished storage just in case you need future expansion. The ultimate dream outdoor living is yours with an outdoor 27×15 cabana with wood burning fireplace and a barn-wood bar. There is a second covered porch off the breakfast room, a cedar sauna with dressing room and full bath with another tiled shower with 2 shower heads and back-sprays. Beat the heat in the 32×16 oval shaped in-ground pool. Details: Beautiful Frank Betz “Northbrook” floorplan with 4 BR, 3.5 BA and keeping room. 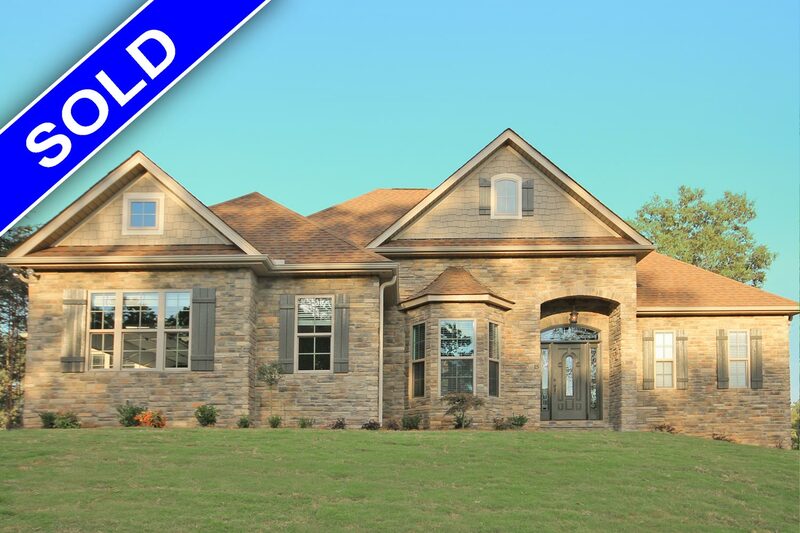 This home has the ultimate in curb appeal with a full stone front, custom made shutters, and lovely front door. It has all the bells and whistles; such as granite countertops, tiled back-splash, hardwood floors, tile floors, and built-ins. The exterior is an oasis with aluminum screened porch with tiled floor, trex deck and a outdoor patio with a stone outdoor fireplace. From the Foyer enter a wide-open floor plan with formal Dining room, great room with fireplace, kitchen with huge island overlooking the breakfast and keeping room with another fireplace and custom bookcases. The large gourmet kitchen has an eat-in island, custom cabinetry, granite countertops, pantry and access to the walk-in Laundry and a 2-car garage. The Large Master Bedroom has an elaborate ceiling, full Bath with double sink vanity, and a fully tiled master shower and walk-in-closet. There are 2 additional bedrooms with a full bath nearby. Upstairs is a 4th bedroom with an en-suite bath. The yard is landscaped beautifully with in-ground irrigation and large Arborvitae trees. 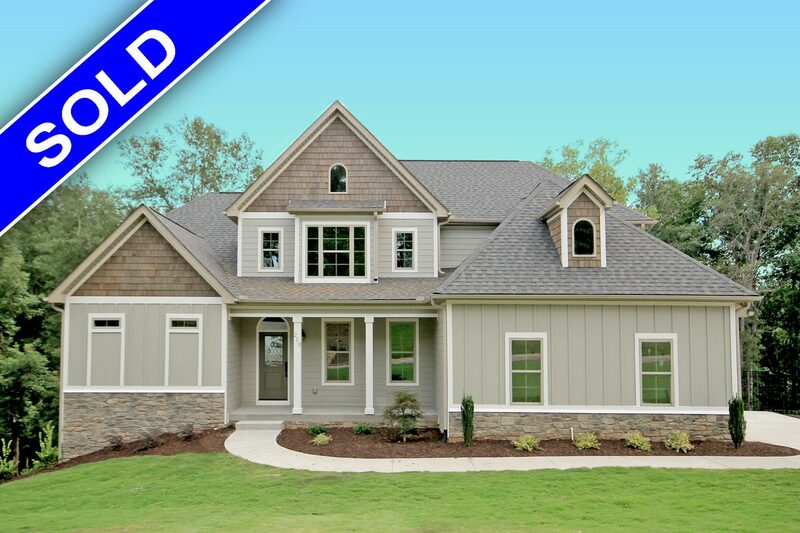 Details: Beautiful Craftsman Home by Middlehouse Builders features 4 Bedrooms, and 3.5 Baths. Enter from the covered front porch to the foyer. To the right of the foyer is the formal dining room with chair-rail, crown molding and wainscoting. From the foyer enter the Great Room with wood burning fireplace, hardwood floors and high coffered ceiling, and is open to the breakfast room. The Kitchen will have a large island with granite countertops, custom cabinets, huge pantry and SS Appliances. The Master Suite is on the main floor and has a walk-in closet and full bath with double sink vanity, separate fully tiled shower, separate garden tub, and private powder room. Also, on the main level is a keeping room off the breakfast room, a large laundry room and a mudroom. There is 3 additional bedrooms upstairs; 2 that share a Jack-and-Jill Full Bath and one with a private bath. This home will have a full, unfinished walkout basement great for future expansion or storage! Extras such as Hardi-plank and stone exteriors, granite in the kitchen, ceramic tile, smooth ceilings and hardwood floors are all standard with Middlehouse Builders!